Professional fundraising Consultant and Author, Benjamin R. Case shares from his 39 years of service in the nonprofit sector as an advancement professional, senior manager and leader. This book, Top 21 Tips for Highly Successful Fundraisers is a collection of 'Tips' written by Ben Case intended to inspire and help fundraisers, managers and leaders everywhere become highly successful. * What law basics should every fund-raiser know? * Is a charitable organization required to apply to the IRS for tax-exempt status? * What are the charitable contribution deduction rules? * How do the unrelated business income rules apply to fund-raisers? * How does a charitable organization start a planned giving program? * What are the important elements of the fund-raiser's contract? * What are the contents of a typical charitable solicitation act? * Can a charitable organization have a taxable subsidiary? * When does a fund-raiser need a lawyer? 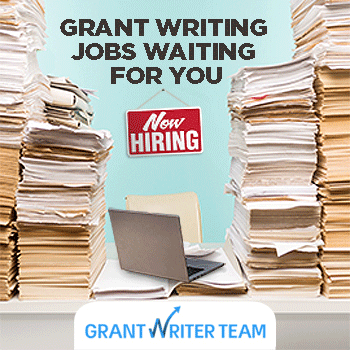 Written by two expert authors who have won millions of dollars in government and foundation grants—and revised to include vital up-to-the minute interviews with grantmakers, policy makers, and nonprofit leaders about seeking grants in today's economic climate—this new edition of the classic book on grant seeking provides a comprehensive, step-by-step guide for grant writers. In the face of global financial problems and stressed government budgets, the ability of private philanthropy to step in and help solve public problems—and support vital private institutions as well—has perhaps never been more important. But how can donors be sure their contributions will be effective? And how can fundraisers make their case for support in a way that is compelling and productive? With The Essence of Strategic Giving, Peter Frumkin distills the lessons of his comprehensive, award-winning study, Strategic Giving, into a concise, practical guide for everyone involved in private philanthropy, from donors to managers of nonprofits to fund-raisers. He defines five critical challenges that all donors must address if their philanthropy is to amount to more than indiscriminate charity, including being aware of the time frame that guides a gift, specifying the intended impact being pursued, and recognizing how a donation fits with a donor’s own identity and style. Acknowledging and understanding these fundamental, strategic aspects of giving, Frumkin argues, will help ensure philanthropy that more effectively achieves its aims—and at the same time builds a lasting relationship between donors and the institutions they support. The Generosity Network is the essential guide to the art of activating resources of every kind behind any worthy cause. Philanthropist Jeff Walker and fund-raising expert Jennifer McCrea offer a fresh new perspective that can make the toughest challenges of nonprofit management and development less stressful, more rewarding—and even fun. Walker and McCrea show how traditional pre-scripted, money-centered, goal-oriented fund-raising techniques lead to anxiety and failure, while open-spirited, curiosity-driven, person-to-person connections lead to discovery, growth—and often amazing results. Through engrossing personal stories, a wealth of innovative suggestions, and inspiring examples, they show nonprofit leaders how to build a community of engaged partners who share a common passion and are eager to provide the resources needed to change the world—not just money, but also time, talents, personal networks, creative thinking, public support, and all the other forms of social capital that often seem scanty yet are really abundant, waiting to be uncovered and mobilized. Highly practical, motivating, and thought provoking, The Generosity Network is designed to energize and empower nonprofit leaders, managers, donors, board members, and other supporters. Whether you help run a multimillion-dollar global nonprofit or raise funds for a local scout troop, PTA, or other community organization, you’ll learn new approaches that will make your work more successful and enjoyable than ever.